Refugees are individuals who are outside the boundaries of their home nations, and are unable to return there safely. Some are forced to leave, while others flee for their own safety. Refugees are most commonly unable to return to their home countries because of persecution based on their race, ethnicity, or religion; because of their political affiliations; or because their home nation has ceased to exist. The Urban Archives and Old China Hands Archives, both part of Special Collections and Archives, contain the personal papers of individuals who came to Los Angeles as refugees, as well as the records of groups and organizations in Los Angeles that assisted refugees as they arrived in the city. 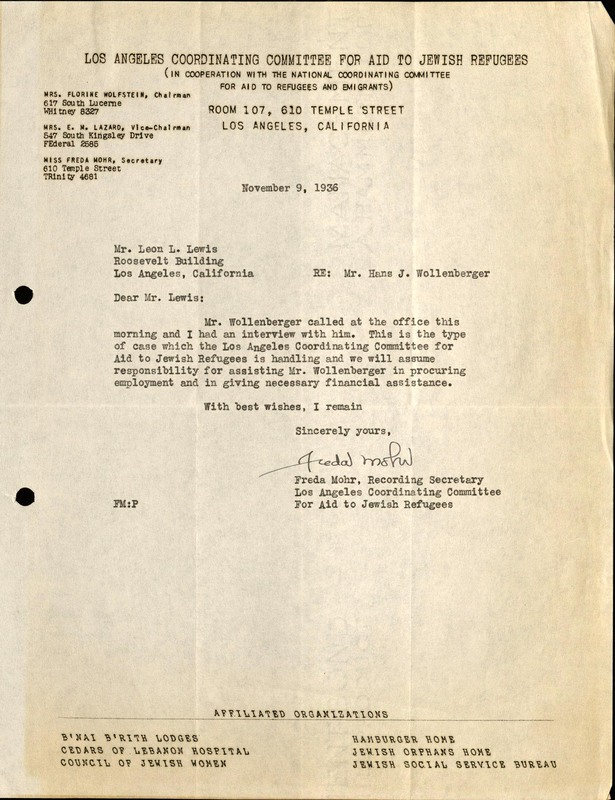 Starting in the mid-1930s, the Jewish Federation of Los Angeles worked with other organizations in LA to help German Jews fleeing Nazi Germany as refugees. 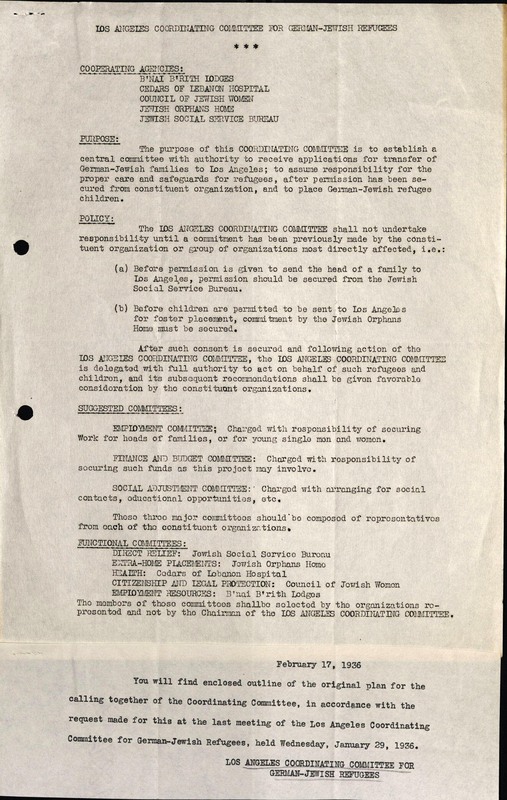 The collection includes documentation of the Los Angeles Coordinating Committee for German Jewish Refugees, including the committee's original charter. 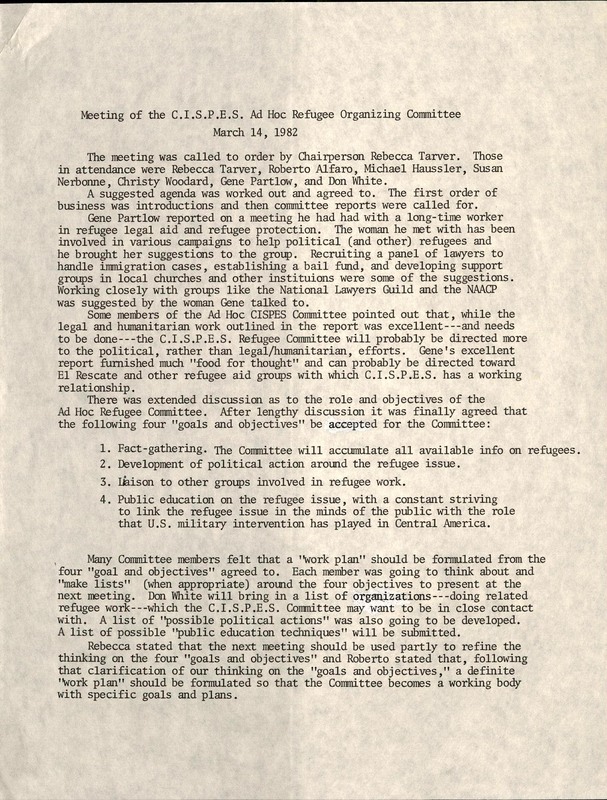 It also contains several pieces of correspondence sent by committee members on behalf of recently-arrived refugees in order to help them find places to live, secure jobs, and otherwise navigate life in the US. In the years immediately after World War II, Carl S. Dentzel became concerned with the plight of some Europeans as many Eastern European nations joined the Soviet bloc. In 1948 the newly-communist Czechoslovakian government seized the property of ethnic Germans who had settled there during World War II, and forcibly expelled most of the ethnically-German population. As Czechoslovakia underwent "Stalinization" over the coming years, those viewed as "dissidents" by the state were routinely purged. Many fled across international borders into neighboring nations as refugees. People around the world mobilized to help refugees from communist Eastern Europe. 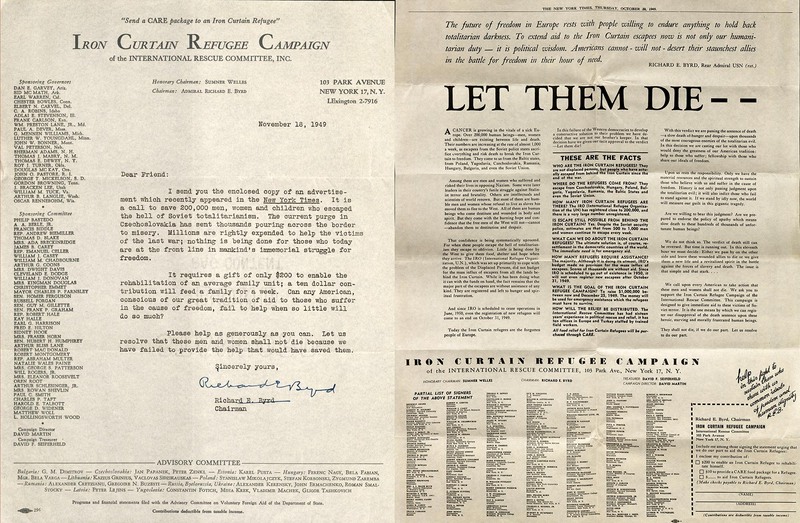 One group,the Iron Curtain Refugee Campaign, ran advertisements in the New York Times, and contacted Dentzel asking for financial donations to aid Czechoslovakian and other refugees. Dr. Tatiana Belitsky was a dental surgeon from Russia who worked in Shanghai from 1936 until 1949 when foreigners living in China began to face persecution under the government of the newly-established and communist Peoples' Republic of China. 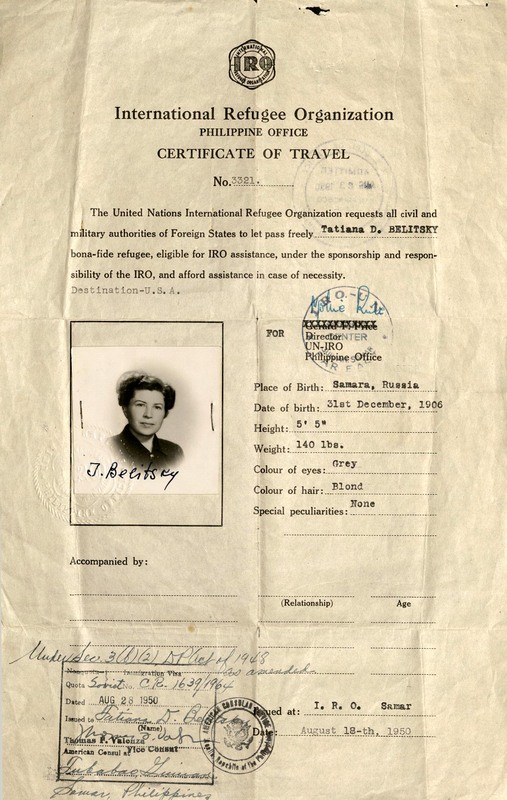 Belitsky fled to the Philippines rather than returning to the Soviet Union where she might face additional persecution. While living in a refugee came in Tubabao, she volunteered her dentistry skills to help her fellow refugees. 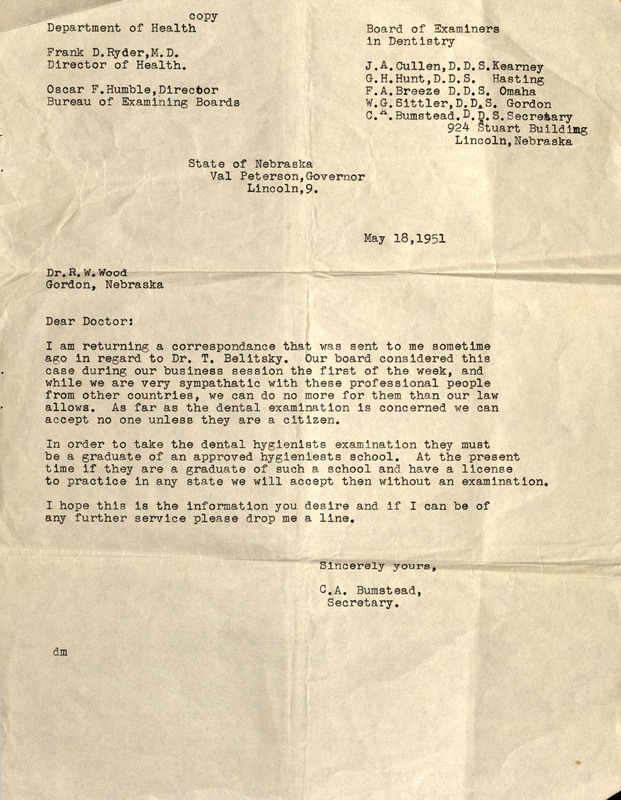 After receiving her Certificate of Travel from the UN's International Refugee Organization in 1950 she came to the US, where she struggled to find work as a dentist, having attended dental school in a foreign country. Finally, the Don White Committee in Solidarity with the People of El Salvador (CISPES) Collection documents the work of a group of Americans interested in aiding and supporting victims of US intervention in the Salvadoran Civil War in the 1980s and 1990s. In an organizing document, C.I.S.P.E.S.' Ad Hoc Refugee Organizing Committee opted to focus on political action, inter-organizational communication, and public education rather than direct humanitarian work with political refugees.